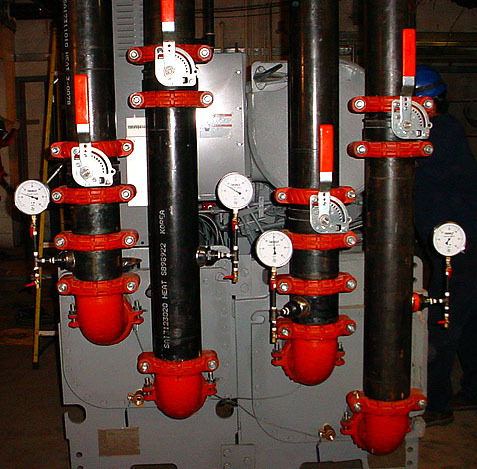 Cooper Oates Air Conditioning’s goal is to ensure constructability, maintainability, and sustainability of our client’s mechanical piping projects. We do this with an optimal blend of collaborative planning, innovative engineering and time-tested technical expertise. We train with and stay current on the latest technology and advancements, including regulatory requirements, new materials and applications. We offer our clients inspired and value-added options to make the project deliver on the goals, and then some. Our strategic partnerships with equipment manufacturers and vendors allows us to provide competitive pricing on the best systems on the market today. Watch COAC's virtual walk around of a new NASA Cooling Tower project. COAC can bring to your next project.